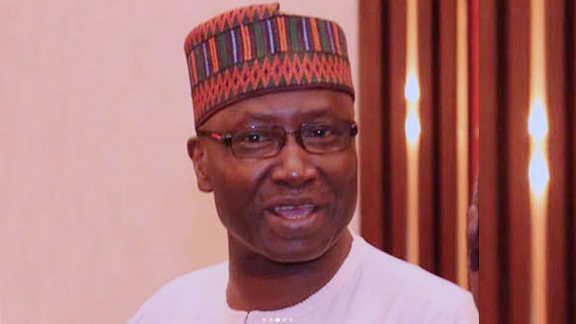 The SGF, who was represented by the Senior Special Assistant to the President on Political Matters, Gideon Sammani , said Buhari was widely known for his stance against corruption and indiscipline, noting that many people feared him because of his uncompromising position on graft. Mustapha argued that it was the corrupt individuals that were against the President because they were apprehensive they may be brought to book. He added, "We all know that Buhari is transparent, honest. He has come with the change philosophy. He has lived for this, to bring change to this nation. Since his military days, he stood to fight corruption, indiscipline. "Many people fear him because he does not compromise corruption and corrupt people are afraid that they will be brought to book. And those who have already looted the treasury of this nation are followed by the security agencies. By the grace of God Buhari will not relent in this fight”He will continue; The politics of this nation is no more the politics of money or do or die politics. Anybody who wants to lead this nation must make sacrifices . Buhari has already transformed and changed the image of leadership and that of our leaders this country, both locally and internationally" the SGF noted. The Convener of the rally, in his remarks, stated that his team was ready to work for Buhari's re election in 2019, adding that they were working with over 15 state governors to actualise the goal.